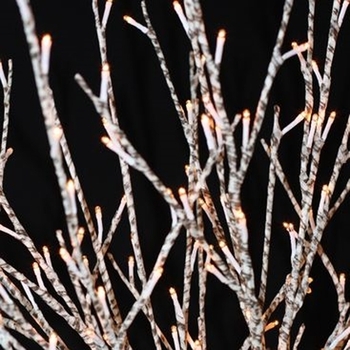 Great for a holiday decoration or for year-round festive use, these lighted willow branches can easily be shaped to add a sparkle of light to your existing silk or dried floral arrangements. 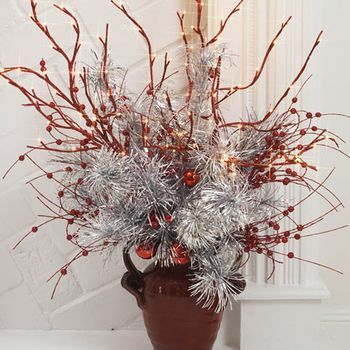 At 40" tall this lighted branch has 96 led lights on three stems and an 16' electrical cord that is easily convertible to battery with the purchase of an optional converter. Material: CUL approved for indoor or covered outdoor use. Transformer included. Batery converter available as an option. Battery converter uses 3 C batteries.